(AP) RICHMOND, Va. - Former Atlanta Falcons Safety Ray Easterling had a degenerative brain disease associated with repeated concussions, an autopsy report concludes. The medical examiner's report found that Easterling's brain had signs "consistent with the findings of chronic traumatic encephalopathy," a progressive degenerative disease that can be caused by multiple concussions. Easterling died of a self-inflicted gunshot wound in April. He was 62. The autopsy report was provided Friday to The Associated Press by Mary Ann Easterling, who is among thousands of plaintiffs who have sued the NFL, claiming the league failed to properly treat players for concussions and attempted to cloak any links between the violent sport and brain injuries. The autopsy's findings were first reported by The New York Times. "I was expecting it," Easterling said. "It verifies all of our suspicions, Ray's included." 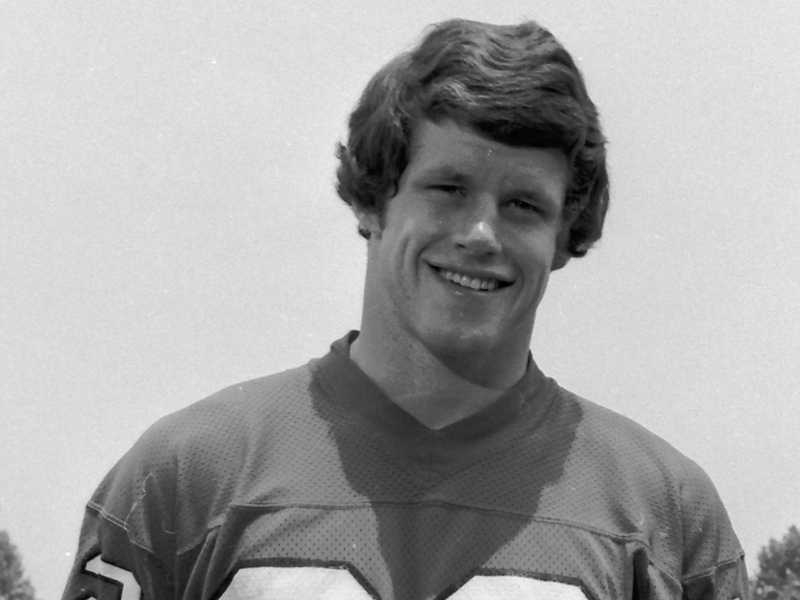 Easterling helped lead the Falcons' stout defense in the 1970s. He played from 1972 to 1979 as a member of the "Gritz Blitz" defense in 1977 that set the NFL record for fewest points allowed in a season. After his career, however, Easterling suffered from dementia, depression and insomnia, Mary Ann Easterling said. "I feel affirmed and I feel at peace," she said of the autopsy report. "It made my heart hurt even more to know he suffered through that." A Richmond neuropsychiatrist who had treated Easterling for several years said the autopsy report confirmed the specific neuropath change that is a signature sign of chronic traumatic encephalopathy. "It distinguishes it from Alzheimer's disease or any other type of degenerative dementia," Dr. Gregory O'Shanick said. Easterling's brain injury, he said, were reflected in a "series of cognitive and behavioral changes." Easterling's wife has said her husband had lost her ability to focus, organize his thoughts and relate to people.